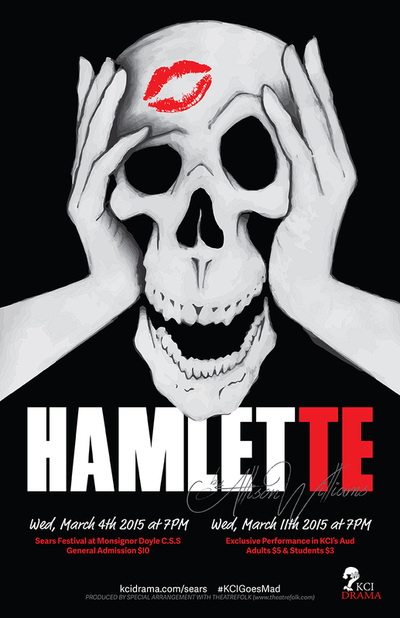 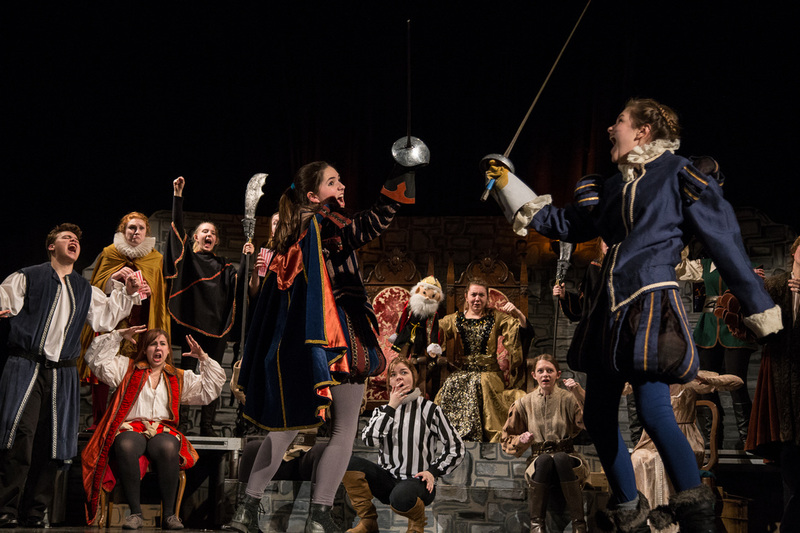 KCI Drama is incredibly excited to announce that our entry for the 2015 Sears Ontario Drama Festival, Allison Williams' "Hamlette", won OUTSTANDING PRODUCTION at the Waterloo District Festival at Monsignor Doyle Catholic Secondary School in Cambridge, as well as two Awards of Excellence for our Set Design and our Cast Focus in Rehearsal! Stage Manager Mira Henderson was also awarded the Outstanding Stage Management Award for the second year in a row, after winning the award last year for "10 Ways to Survive the Zombie Apocalypse - A Comedy (We Hope)". 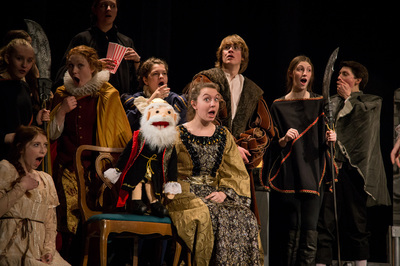 At the 2015 Regional Festival, hosted at Bear Creek Secondary School in Barrie, Ontario, "Hamlette" was also recognized with two additional awards for performances; an Award of Distinctive Merit for Amelia Rose Graves for her dual performance as the Queen (and puppet King) and an Award of Excellence for the entire cast for their performances in the "Comic Style".